Energy Bite | Episode 202: How much data do smart grids collect? Have you ever wondered how much data smart grids collect? On this week’s Energy Bite, Richard Huntsinger, a recent PhD graduate of Carnegie Mellon University, has some answers. HOST: Have you ever wondered how much data smart grids collect? 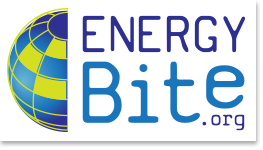 On this week’s Energy Bite, Richard Huntsinger, a recent PhD graduate of Carnegie Mellon University, has some answers. HUNTSINGER: A smart meter in a smart grid typically measures electricity usage every half-hour. For a city of say 2 million households and buildings, that would result in the smart meters measuring about 35 gigabytes of data per year, which would comfortably fit in the memory of an iPhone. More detailed measurements could be collected, too, though, like for usage of every heater, cooler, light, and appliance in each home or building. Add to that all the extra data used in computers necessary to manage the smart grid operations and analyze the smart grid data – and the amount of data adds up to much, much more. HOST: Is all that data secure? HUNTSINGER: Utilities normally treat smart grid data as private and take data security very seriously. Researchers only have a handful of smart grid datasets available to them, and these datasets are anonymized, so that any information that can be used to determine the electricity usage of a specific household has been removed. The Government has just started to put in place more formal rules around smart grids and privacy. California, for example, now has rules to ensure that consumers have access to smart grid data collected about their homes, and that anyone else has only controlled access. HOST: Do you worry about the security of your electricity usage data? Take our poll, see the results, and ask your energy questions at Energy Bite dot org. ← Episode 201: Are researchers using smart grid data?